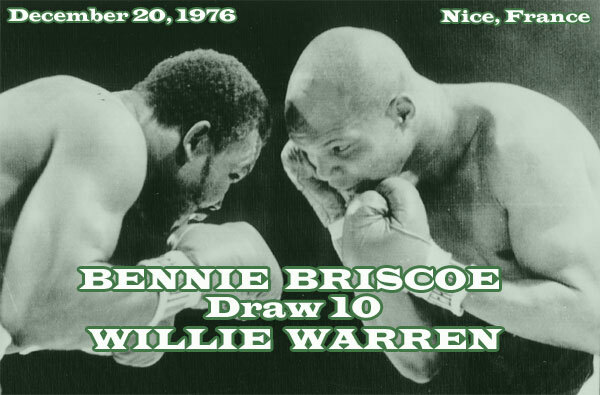 On this day in 1976, Bad Bennie Briscoe capped 1976 with a 10-round draw against Willie Warren. This bout came during a two-year unbeaten run that would eventually stretch to three years and lead him to his final chance at a world title. The following November (1977) he would battle old rival Rodrigo Valdez for Carlos Monzon's vacant middleweight crown. Bennie would come up a little short for the third time. Briscoe did everything in his career except win the championship, and is remembered as the ultimate Philly fighter.